Wow those are beautiful shots! What kind of lighting setup were you using? Just wanted to drop a line and tell you I'm usually a stalker but I've been browsing around your site for like 45 minutes now and I love, love, love your pictures!! I wanted to tell you that you're an inspiration. So dang cute, what a sweet babe. I just recently heard about your blog and you rock girl - LOVE IT!! :) Can't wait to see more! cute! when do all us stalkers get to see your studio? please post pix on your blog or website. LOVE #3!! What a sweetie pie! You always get that eye contact... even with the little ones!! How do yo do it?? You rock, Audrey! ooooh, that third one is to die for! #3 is soooo perfect! what a sweetie little guy. awww, I love #3, perfect! Yippee, you're back from Miami. 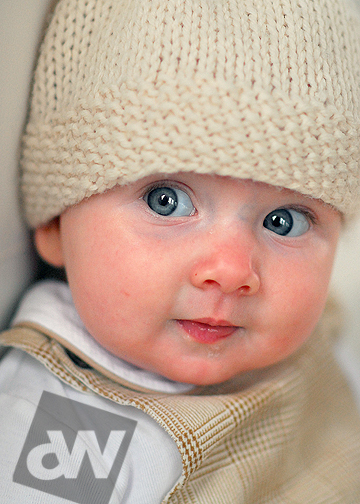 :) Audrey, love your clarity in latest baby images and gosh, they are so gorgeous! Love that teeny little mouth and huge eyes!!! LOVE that third one too - my favorite!! Fantastic, as usual!! Audrey - These are nothing short of spectacular! May I ask the ages of these babies? Love that little smile! What a cutie! Awesome job! That third one is so perfect... they are all beautiful! Amazingly fresh, beautiful images . . . this is what I associate you with. Thanks for inspiring!